Written Down is a simple and modern way to journal everywhere you go. A journal is a great way to remember the events of your life. Keep track of your thoughts, feelings and experiences as you go through your day. Written Down makes it easy to quickly write about what is happening anytime. Your journals sync quickly, privately and securely across all your iOS devices via iCloud. 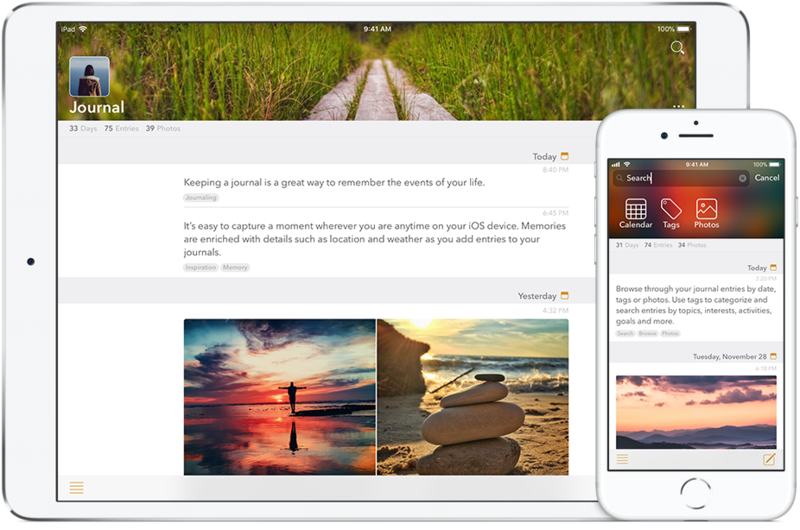 You can even share journals with family and friends that sync quickly, privately and securely via iCloud. Lock your journals and keep them private using a passcode with support for unlock using Touch ID or Face ID. Pick your own journal colors, icons, and backgrounds. Choose different app themes, colors and typography to make Written Down beautifully yours. Your entries are enriched with details such as time, date, location and weather as you add to your journals. Add tags to categorize and search your entries by topic, feeling, interest, activity, goal, people and more.